Most Android Developers now give free promo codes for people to download their new individual or company paid Android APK Applications when launched and uploaded on Google Play Store for the public to download from. So if you happen to be gifted with any paid app promo codes, this post will guide you on how to redeem and download the app to your Android smartphone just for free. Android followed suit just like iOS, in giving developers the privilege to give users app promo codes. 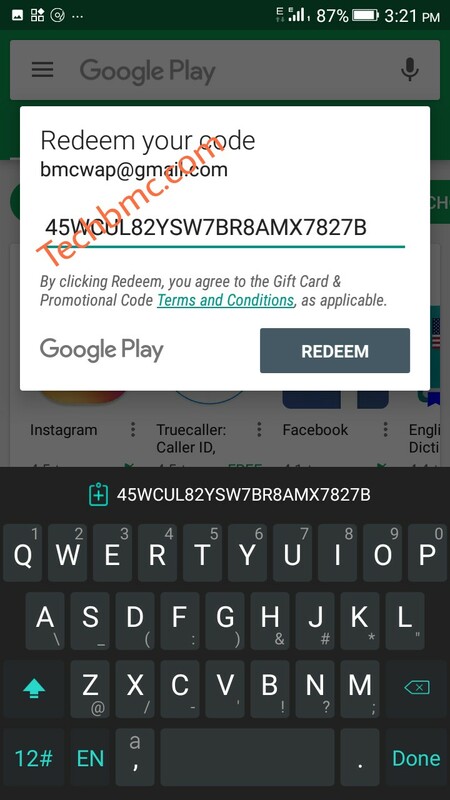 This kind of feature in Google Play Store attract more users to get a particular application in which the promo code is shared. So giving out promo code to those using Android phones get you more customer and attention to your launched app on Play store. And as a developer whose interest is to get his or her software application reach so many users worldwide, then you ought to offer a copy of promo codes to your reviewers by sharing to some set of people who might be interested either on social media pages like Google Plus, Facebook, Twitter, Skype, Telegram etc. or on a website page where a short or full article review of the app is published. 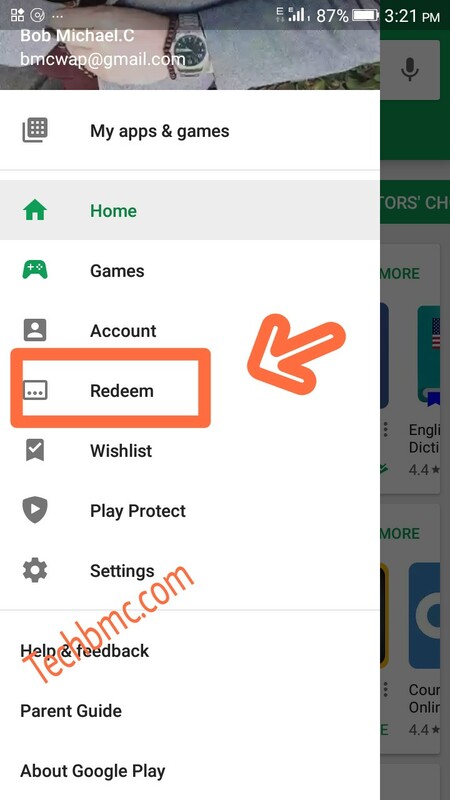 >> To redeem an Android app apk format and get it installed on your Android or tablet smart devices, the first thing to do is to copy and paste the given promo code by the app developer or company, to a particular section on Google Play Store menu bar called "Redeem". 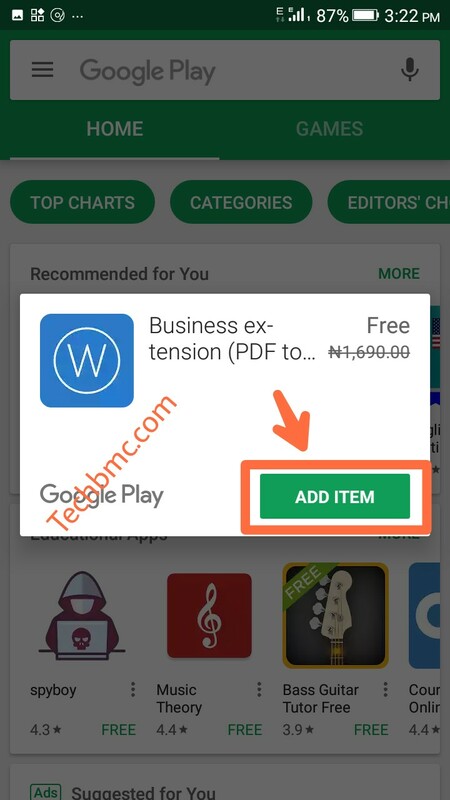 >> To locate the "redeem" menu in Google Play Store, just click to open the slide-out menu and click on Redeem section. >> A new tab with a pop up like display will show having a small box to enter the given promo code. Now enter/paste the promo code and then click on Redeem. Note: clicking on Redeem means you agreed or accepted the Gift Card and promotional code Terms and Conditions. 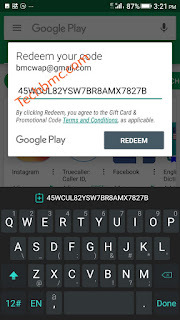 >> After you must have clicked on the redeem, next, click on Add Item and the new application will be installed on your Android device for free of charge. 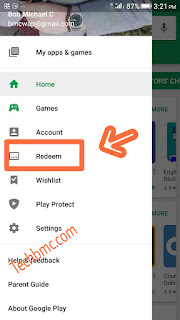 In case you wish to redeem the Gift Card or promotional code from desktop PC devices, then visit the web version of Google Play Store page and click on redeem which is located at the top left screen of the Google store home menu. Then type the promo code to freely redeem. To get promo codes from Android App Companies online, just like and follow them up via their social media groups and pages like Twitter, Google Plus, Facebook etc. So that whenever a new app is launched and shared on Google Play Store, you will be among the first set to explore it free using their promo codes shared on social media profiles. If the post is worth sharing to others, then don't miss to share. Thank you.